Enticing Diamond Bar Brooch [SH7873] - £2,250.00 : loveVintageDiamonds.com, Your Vintage Diamond Dreams Come True! 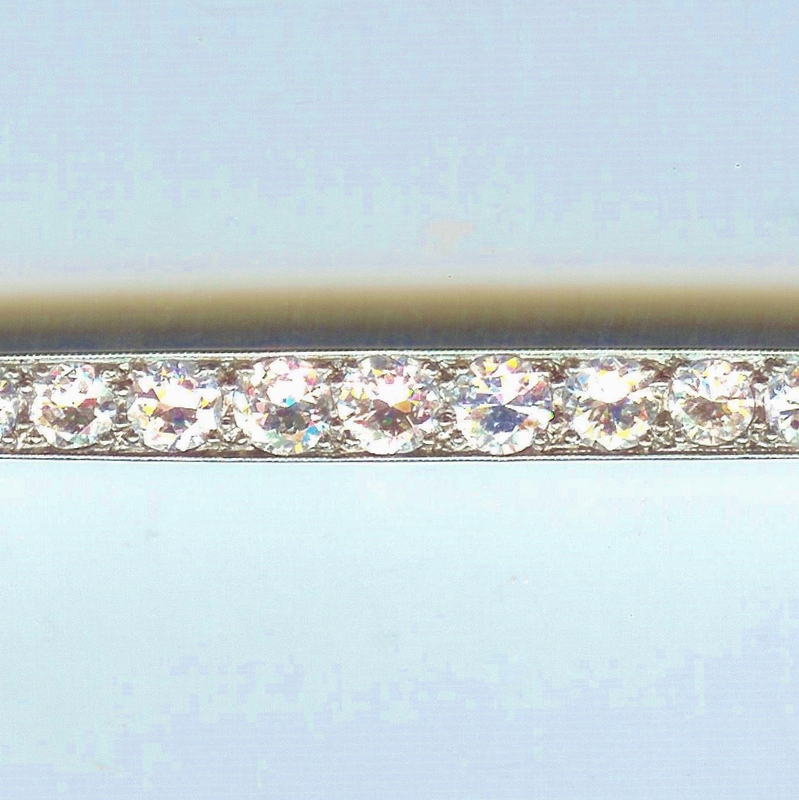 This 23-stone diamond bar brooch is simply gorgeous! The diamonds are old-cuts, graduated in size with the largest at the centre point of the brooch, and they weigh in total upwards of approximately 1.90cts. The stones, as with all of our pieces, are of beautiful quality. They are set in simple claw settings and the overall shape of the brooch is accentuated with mille-grain edging. The length of the brooch is just shy of 3". The metal is white throughout, and is unmarked. The overall weight of the piece is approximately 6.2gms.